FORT WORTH-Jack M. Wright passed away peacefully Wednesday, January 9, 2019 at the age of 93. Celebration of life: 11 a.m. Monday, January 14, 2019 at Brown Owens & Brumley’s Joe B. Chapel. Visitation: 2 to 4 p.m. Sunday at the funeral home. Interment: Jack will be laid to rest with his beloved wife of 64 years, Betty Jean Wright in Shannon Rose Hill Cemetery. Jack was born November 12, 1925 in Fort Worth, Texas to the late Berthal and Annie Wright. 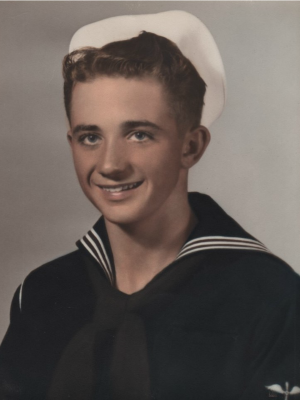 Jack proudly served in the US Navy. He was an avid pilot and flew an airplane on his 92nd birthday. Jack attended the First United Methodist Church in Burleson. Jack was a loving father, grandfather, great grandfather and will be deeply missed. Jack is preceded in death by his parents; and wife of 64 years, Betty Jean Wright. Survivors: Daughter, Vivian Wright; daughter, Vicky Williams; granddaughter, Sharon Mineo and husband, Ben; granddaughter, Valerie Williams; granddaughter, Vanessa Moody and husband, Walter; grandson, D.J. Williams; great grandchildren, Kavonne Williams, David Simmons and King Clark Moody. The post Jack M. Wright appeared first on Brown Owens & Brumley Family Funeral Home & Crematory.